We all know that Research in Motion and its BlackBerry models are in deep, deep trouble, so salvation could come from either getting bought by Microsoft or buying a dying platform such as webOS. 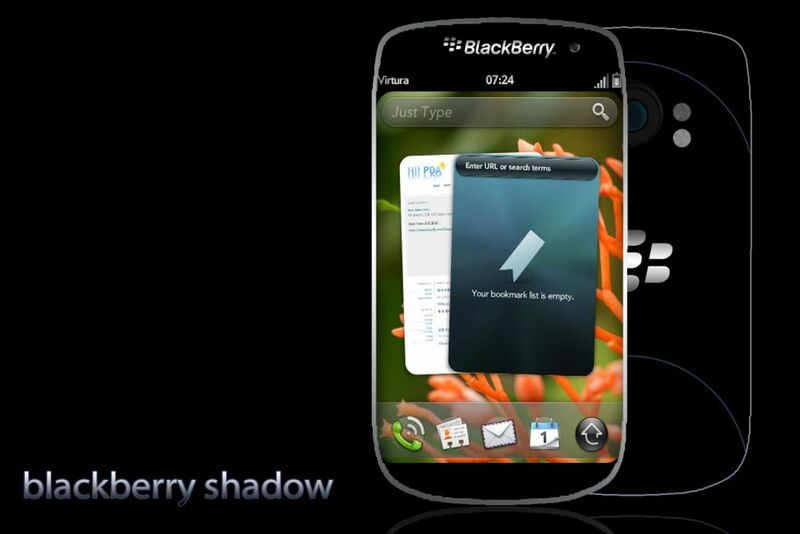 The latter was imagined by Bob Freking, who envisions a BlackBerry concept phone called Shadow, that runs HP/Palm’s webOS platform. This model will still include functions from BB OS, BBM included here. BlackBerry Shadow runs on top of an ARM15 dual core processor at 1 GHz and it features an 8 megapixel camera with dual LED Flash. The designer mentions that this handset incorporates glow lines n the back that can read the user’s thoughts, so how cool is that? I guess this is more of a mood sensing feature than actual mind reading… Social networking is also included on the BlackBerry Shadow, as well as a 5 megapixel front camera with flash for video chat.